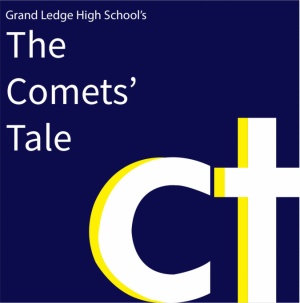 The Comets’ Tale, a newspaper produced for and by student of Grand Ledge High School, will provide the student body with information pertinent to events, activities, and issues that affect GLHS students. Letters to the Editor are encouraged by The Comets’ Tale staff. Letters may pertain to an article written or simply act as a form of student expression. All letters must be deemed publishable by the Editorial Board including the adviser. They should be 200 words or less but may be edited for content or length. All letters to the editor must be signed. To send a letter to the Editor, students may drop them in the publications room (Room 113).